JOINT BASE LEWIS-MCCHORD, Wash. – Several Afghan children appeared via video in court Wednesday, recounting the night that an American soldier conducted a raid on their village and shot a number of their friends and family dead. 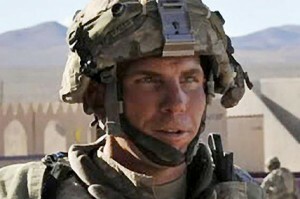 Young boys told the court that when Staff Sergeant Robert Bales entered their village last year with the intent to kill civilians, they hid behind curtains as others ran, yelling, “We are children!” One girl said that she hid behind her father as he was shot to death by the soldier. The testimony of the children was a part of the hearing for Bales, who appeared in court and entered a guilty plea to multiple counts of murder in order to avoid the death penalty. According to reports, on the night of March 11, 2012, Bales left his base with two firearms and a grenade in tow and headed to the village of Alkozai. Following a struggle with an older woman, he decided to “murder anyone that he saw.” After killing a number of civilians, prosecutors state that he returned to the base and told a fellow soldier about the bloodshed, who did not believe him. Bales then left a second time and went to attack the village of Najiban, where he carried out another massacre. Reports state that the deceased from the two attacks were mainly women and children. As he spoke in court, Bales was asked if he set the bodies of civilians on fire. He replied that he did not recall doing so, but stated that he remembered seeing a lantern in the room, and that he had matches in his pocket that night. “It’s the only thing that makes sense, sir,” he told Judge Colonel Jeffery Nance. Bales’ attorneys state that the solider had been drinking alcohol and snorting valium the night of the massacre, and that he struggled with post-traumatic stress disorder (PTSD) and a traumatic brain injury. He was also taking steroids. “[The drugs] definitely increased my irritability and anger,” he stated. Nance asked Bales why he went on the shooting spree against innocent civilians. “This act was without legal justification, sir,” he also read in a prepared statement. According to ABC News, some of the relatives of the dead are outraged that Bales may escape the death penalty because of his guilty plea. A jury is set to decide in August whether to grant Bales parole or sentence him to life in prison.